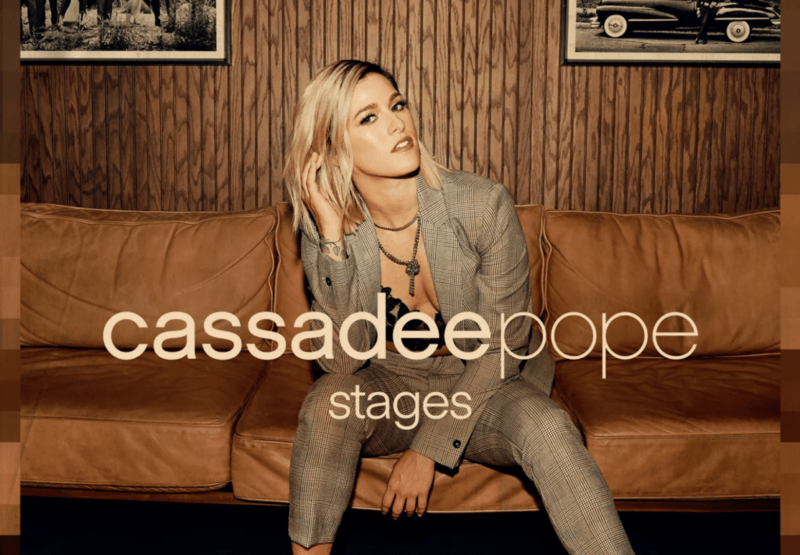 For those who have followed Cassadee Pope’s career over the years, her brand new album, Stages, will have special meaning to you and make you feel more connected to Pope than ever before. For those who began following her journey later on, it will give you a chance to learn more about the phenomenal vocalist, writer, storyteller, and human being. For everyone, this album will speak to you and remind you of the various past stages of your own life and become a confidante and advisor for the stages that await you. Pope has shared on social media that her new album comes directly from her heart and personal experiences, and each track on Stages will certainly give you insight to those. In fact, this album could be deemed one of the most honest musical collections to be released to date. If you listen to the lyrics of Pope’s songs, you will find that Stages is a storybook that walks listeners through a particular time in her life when she found herself at an all time low, yet picked herself back up and figured out how to move forward stronger than she ever was before. Songs like “Bring Me Down Town,” “Don’t Ask Me,” “Still Got It,” “I’m Still Good,” and current single “If My Heart Had a Heart” provide Pope’s perspective and innermost feelings during a transitionary phase, showing that although someone can seem alright on the outside, internal turmoil may still exist. These tracks are a very definitive start to a new chapter in her life, taking people through the slow and methodical first steps of starting over. 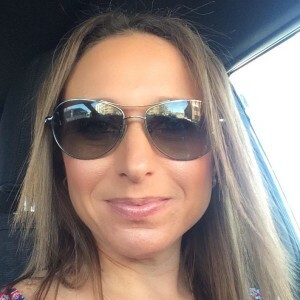 Once Pope found her stride, she was able to see beyond her heart’s fluctuations and allow her head to remind her of why her life took an unanticipated detour. You hear the direction shift in “FYI,” which marks a time when Pope was able to swallow some difficult truths and begin to come out the other side of a situation that had her head and heart twisted. In a truly inspiring track that shows off both the sass and class of this artist, she delivers a spoonful of reality to someone who was desperately in need of a taste. Rounding out this trilogy of “stages” in Pope’s recent life story are “One More Red Light,” “Take You Home,” “How I Feel Right Now,” and “Distracted.” These tracks mark the point when Pope was able to officially turn the page and move on, realizing that the grass is truly greener if only you take time to traipse through it without looking back toward the fence. The songs pinpoint a time in her life when she found true happiness that she was ready to announce from the rooftops and unabashedly celebrate with the world. The first two, which served as singles, were perfect introductory tracks to the new project, as they both gave the public the sense of joy that is splashed across this singer-songwriter’s beautiful face as of late. One track that is an absolute standout is “Gavi.” Again, those who have known Pope and/or followed her over the years will recognize “Gavi” as being the name as one of her best friends. Only a few years ago, Gavi lost a courageous battle with cancer, and Pope is taking this moment — one where she has all the freedom in the world to release whatever her heart desires — to honor him in the most perfect way possible. “Gavi” begins with his voice simply stating the key of the music that is about to be played, “F Minor,” and then continues as a piano solo for less than one and one-half minutes. This solo will cause chills, as a stunning and incomparably meaningful tribute plays through the speakers. Pope’s sophomore solo full-length album, Stages, will create a bond between the artist and fans more so than any of her preceding projects. Not only will listeners be able to truly understand the journey Pope has been on for the last couple of years, but they will be able to tune in, relate, and feel as though they have an album of despair and hope to guide them through their very own heartbreaks and triumphs. Whether you are a country music fan, a pop fan, or a rock fan, this album has something for you, because, at the end of the day, genres aside, we are all human beings who go through the same ups and downs. Stages will hold your hand as you begin your own process of hurting and healing, and that companionship alone should transcend an industry-based genre categorization. Download Cassadee Pope’s Stages now by clicking here.